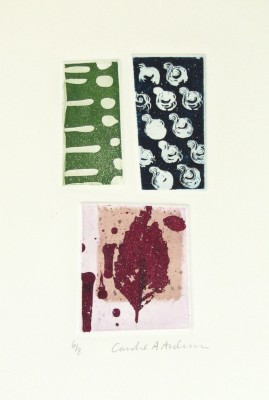 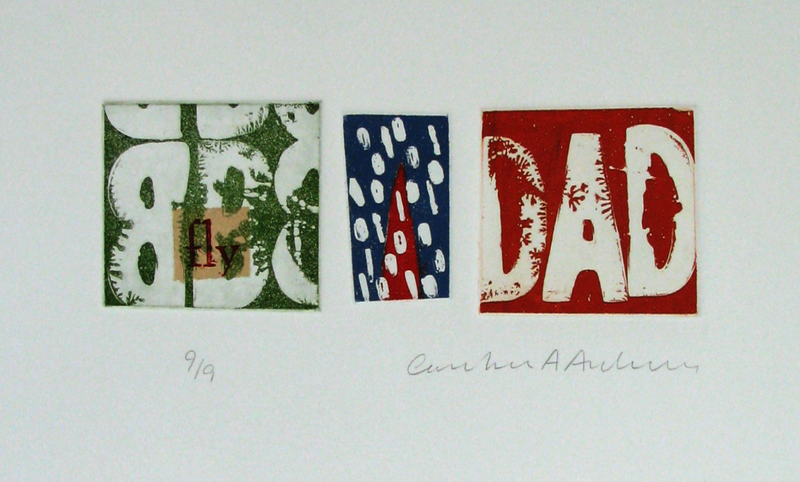 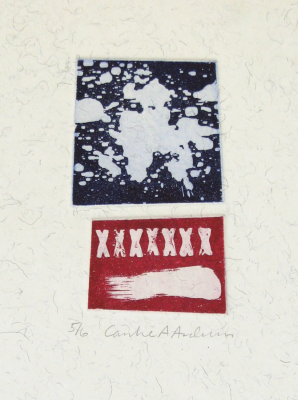 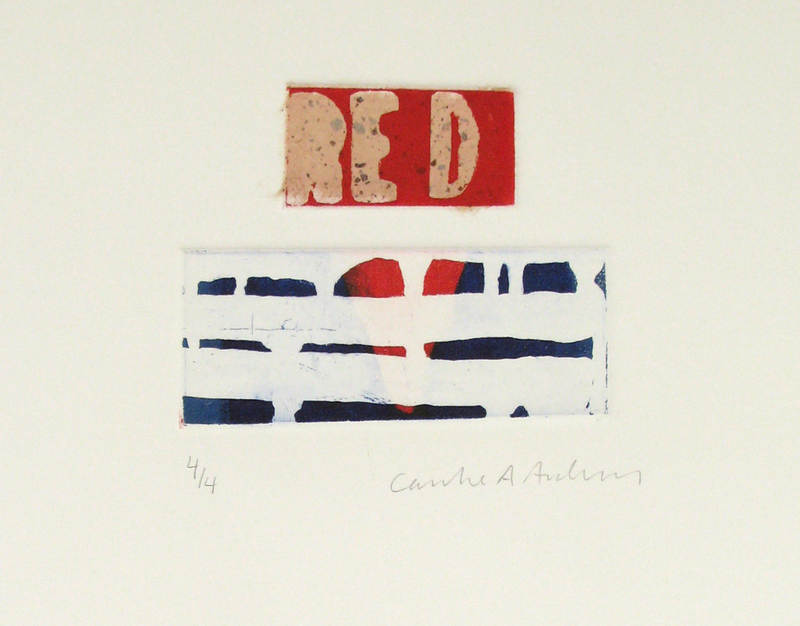 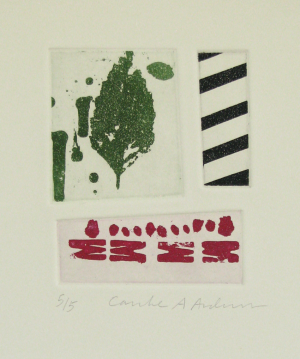 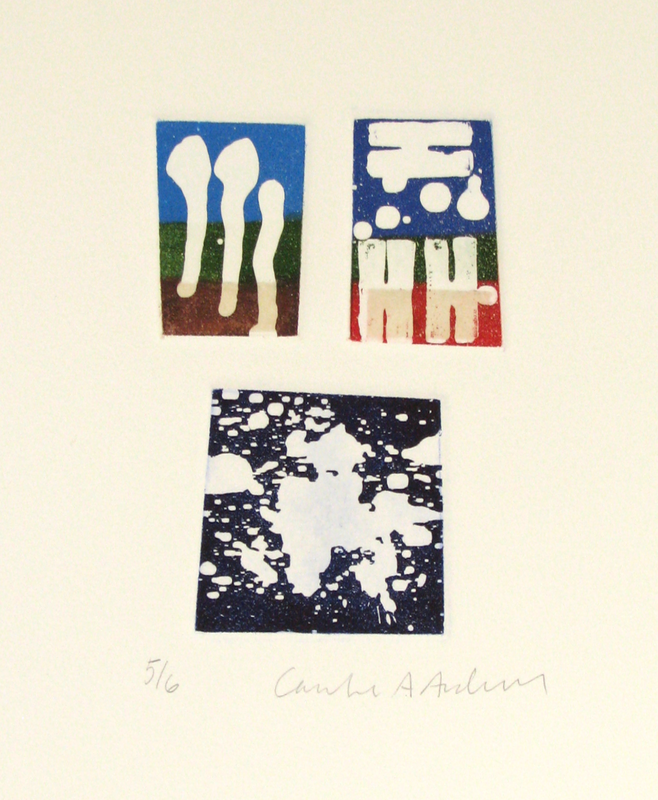 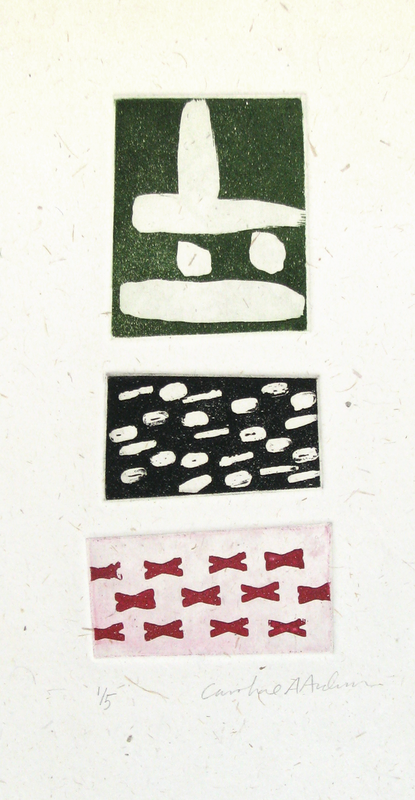 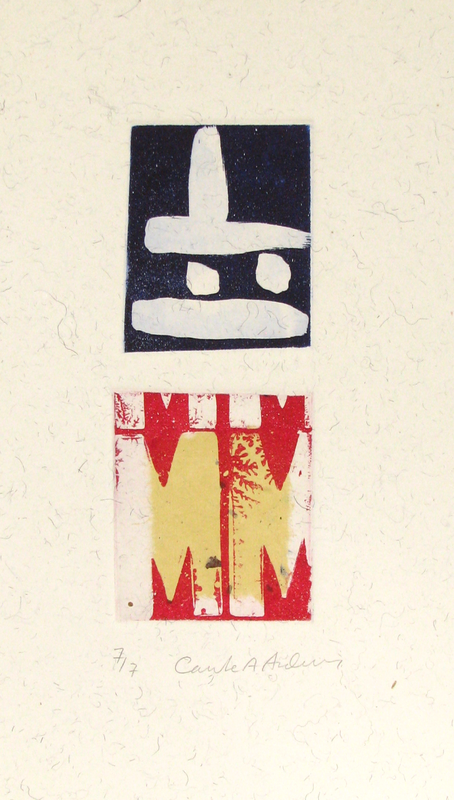 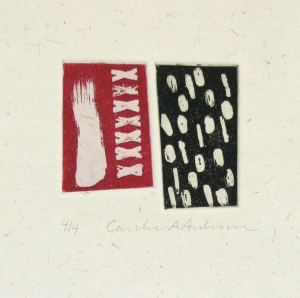 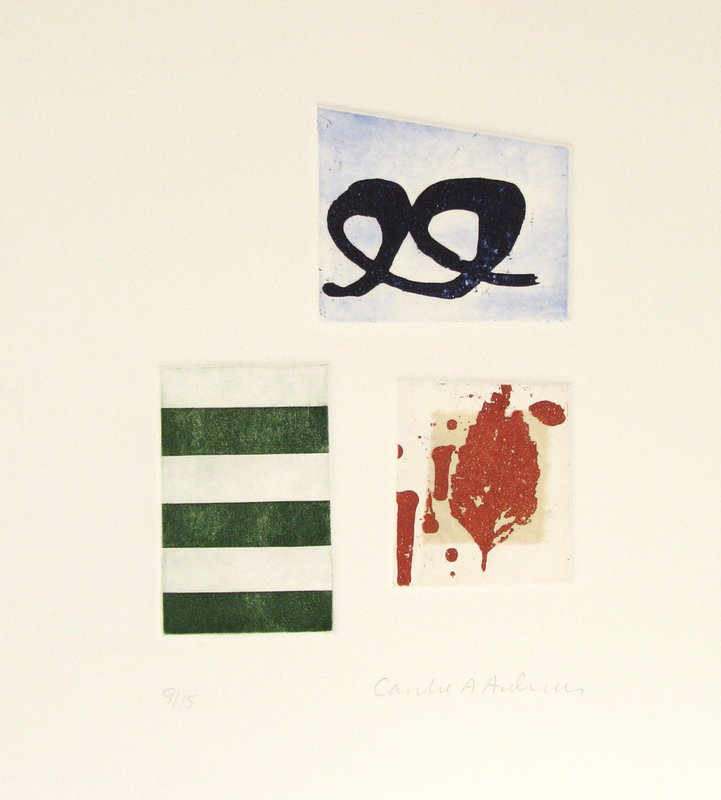 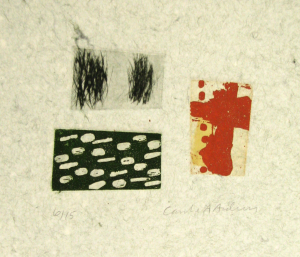 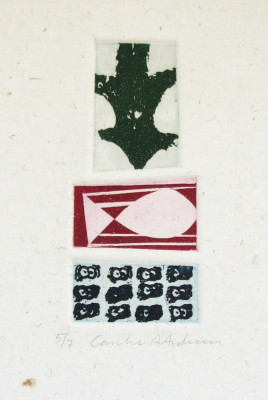 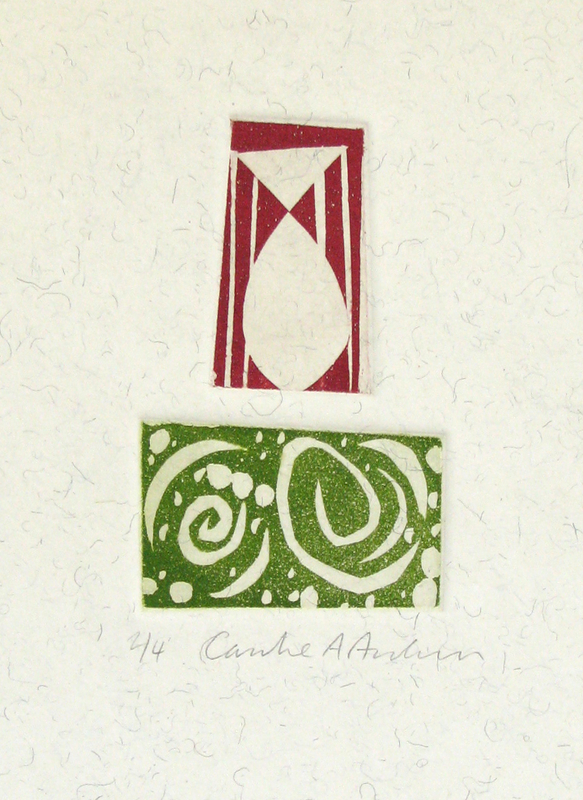 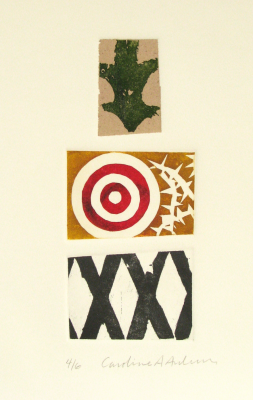 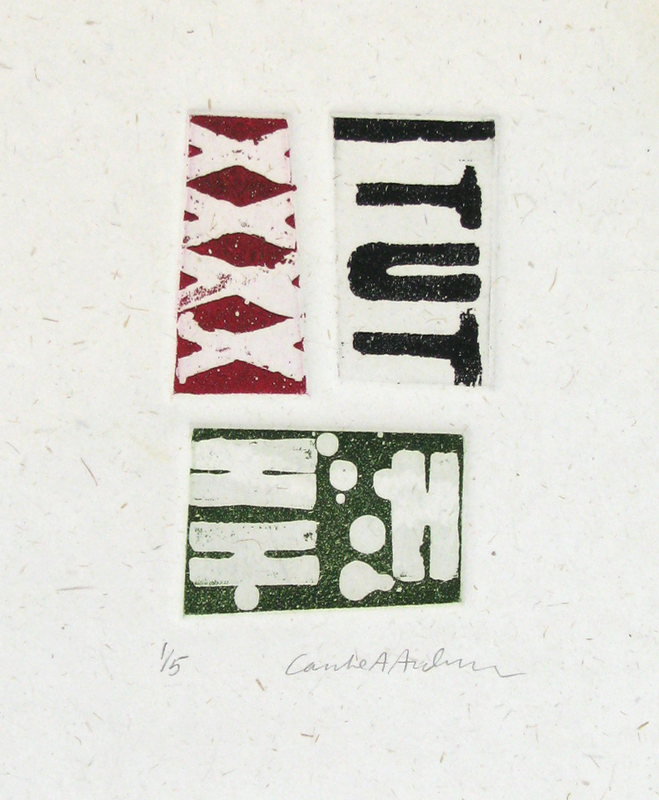 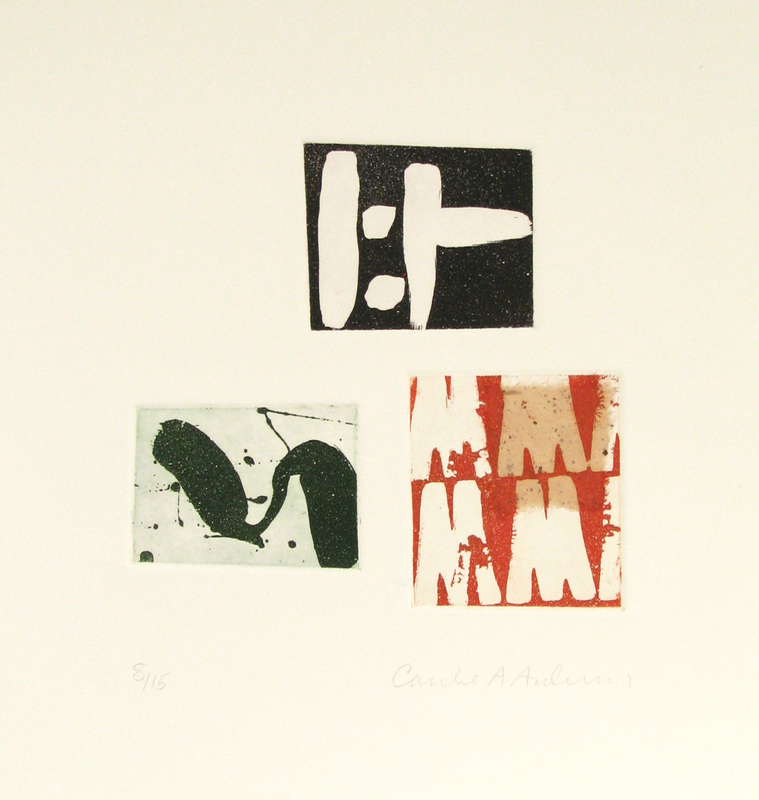 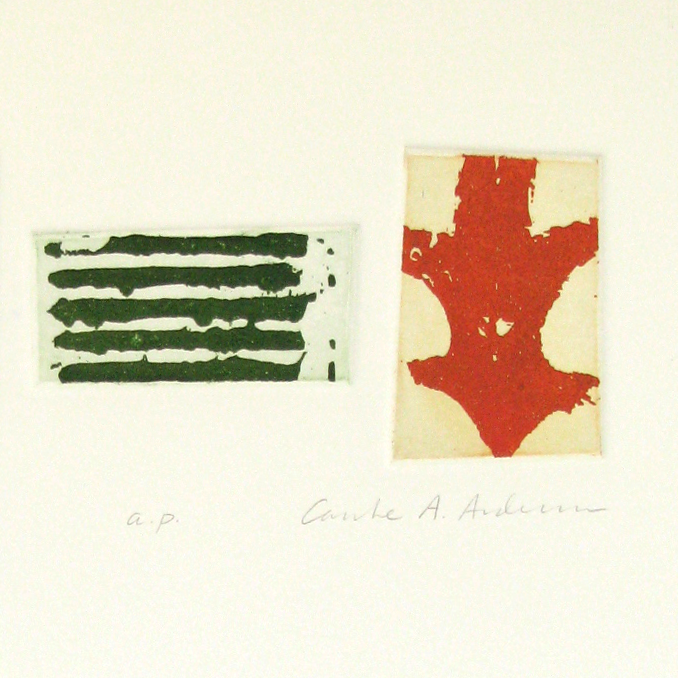 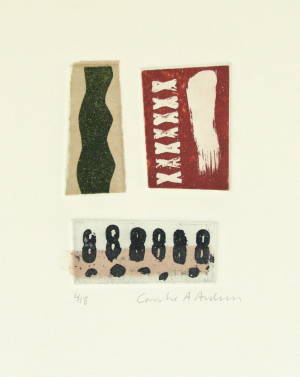 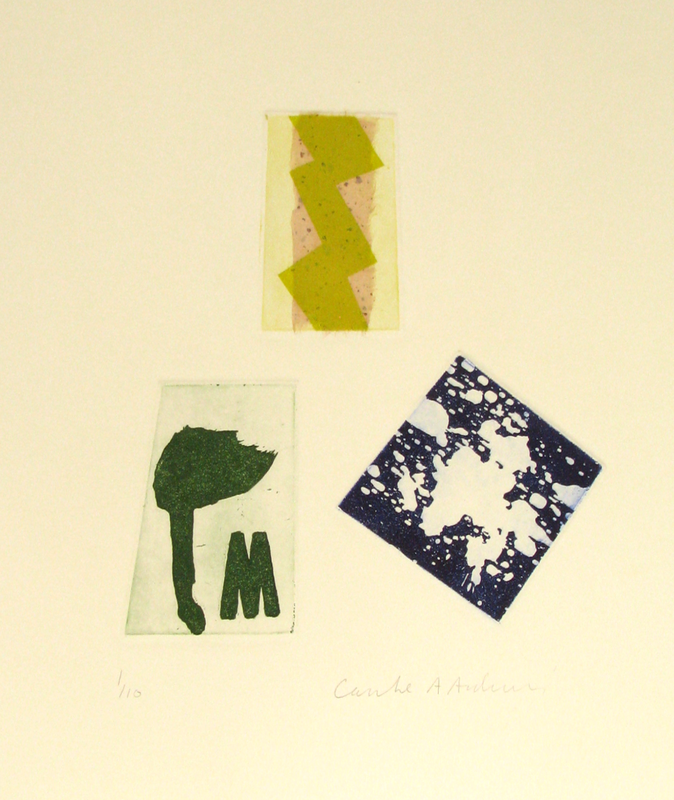 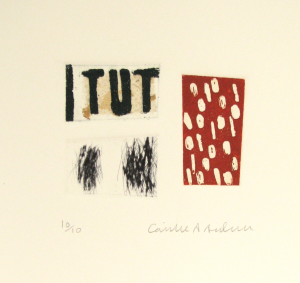 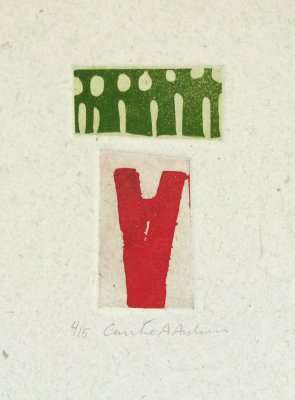 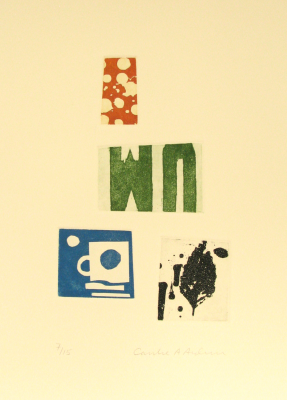 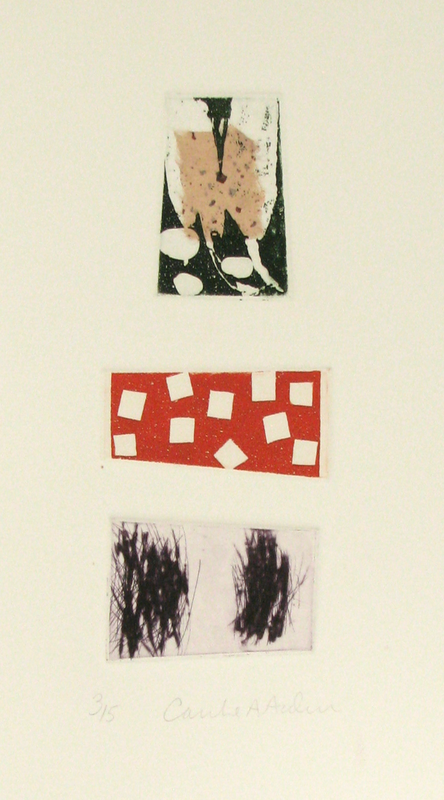 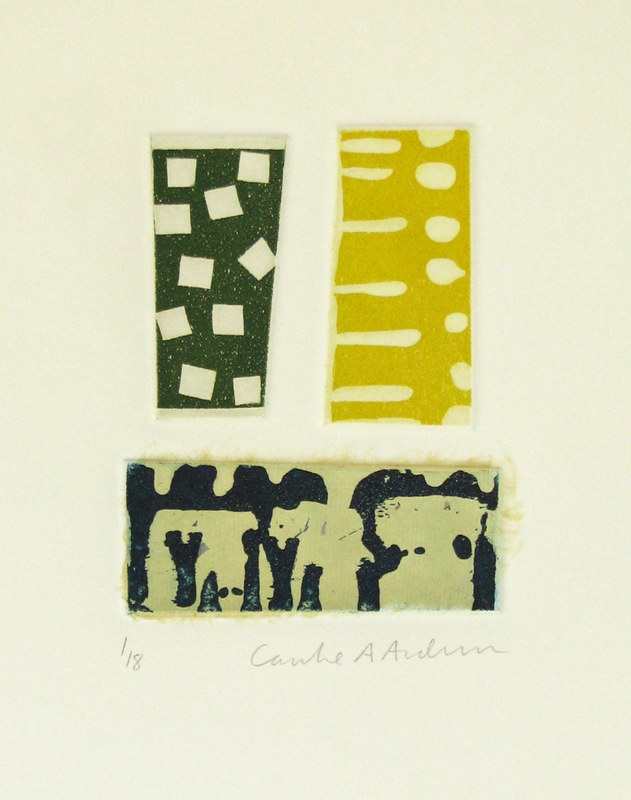 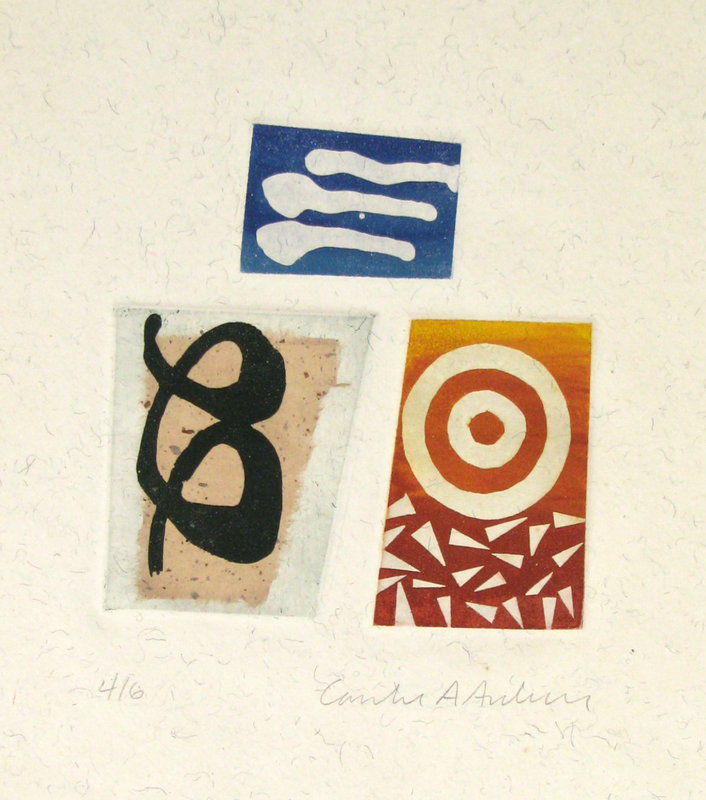 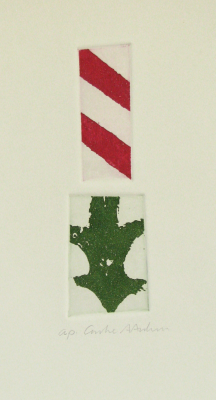 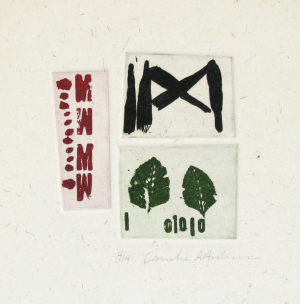 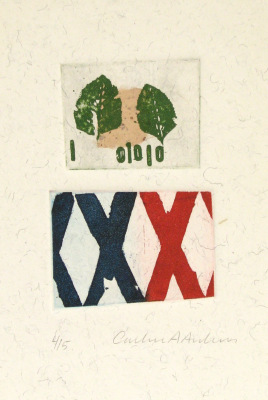 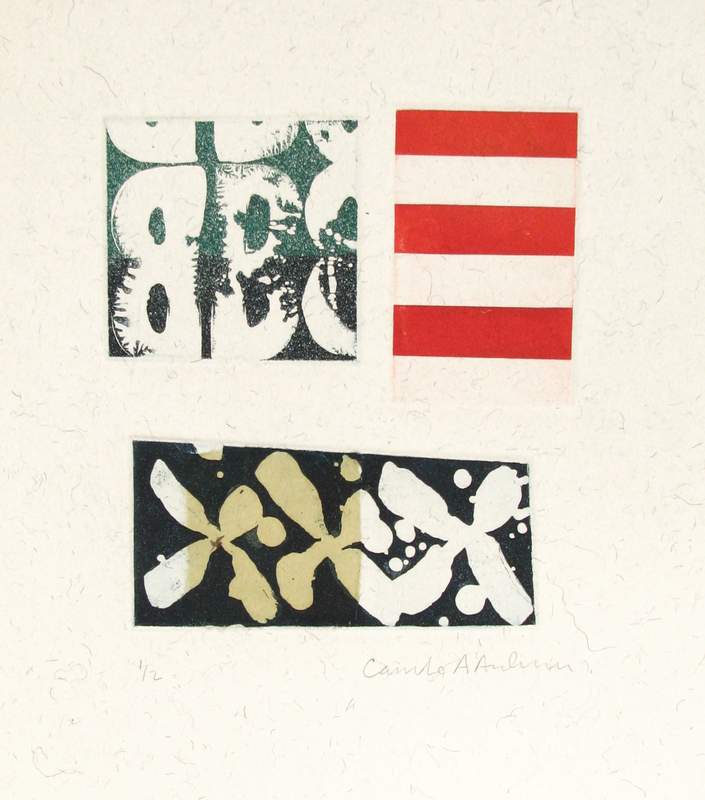 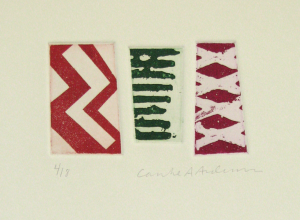 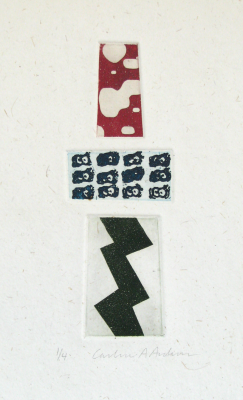 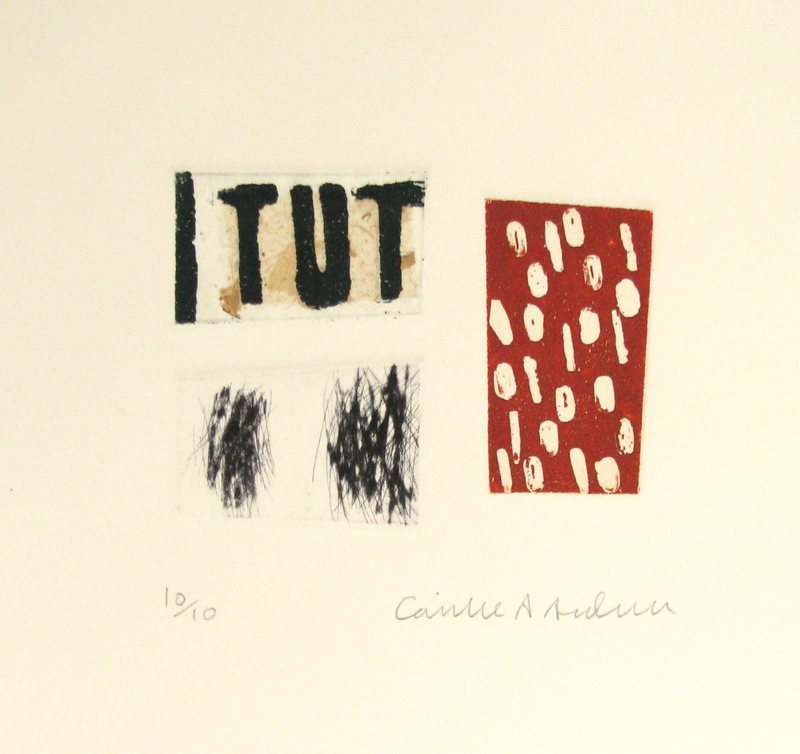 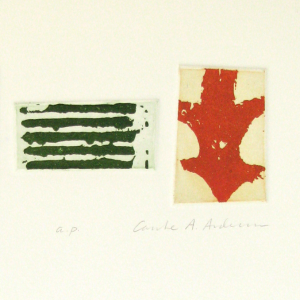 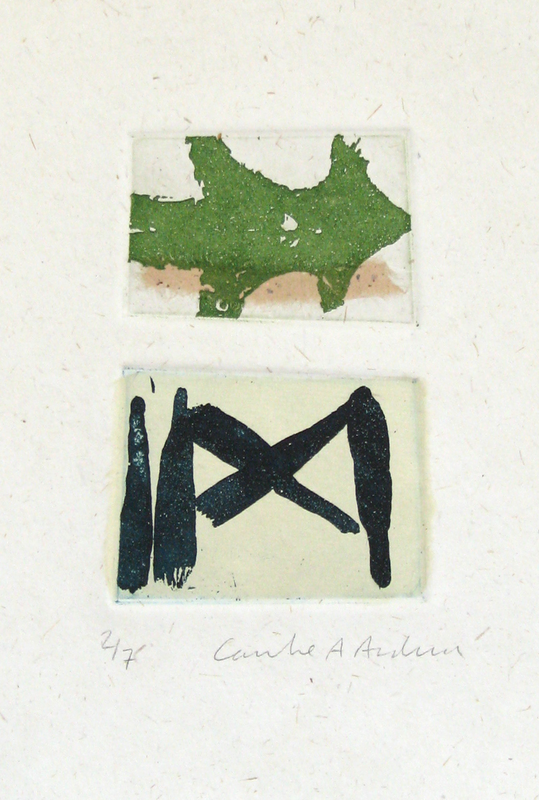 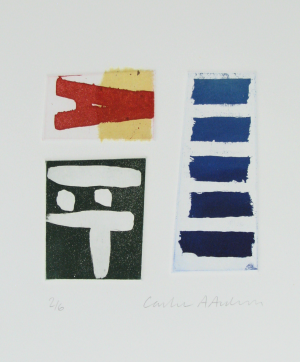 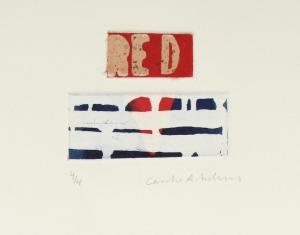 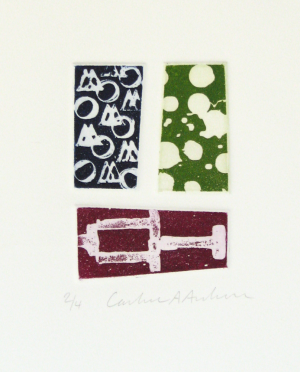 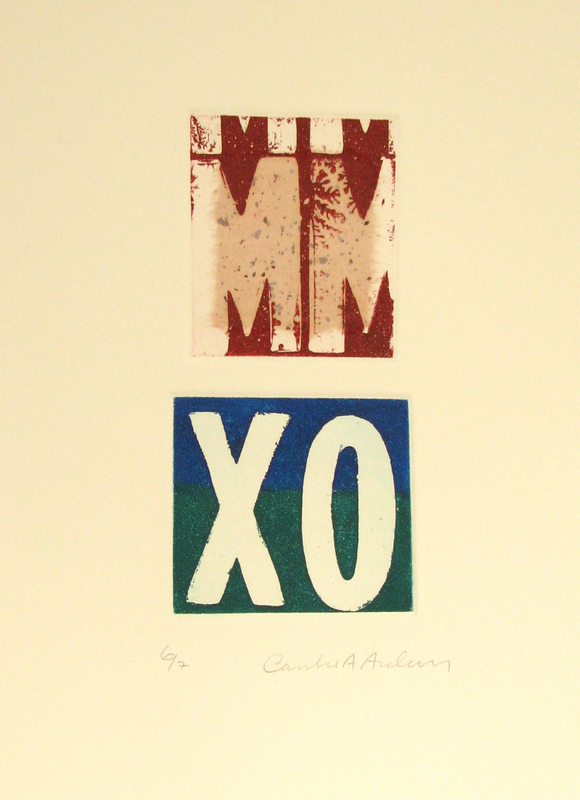 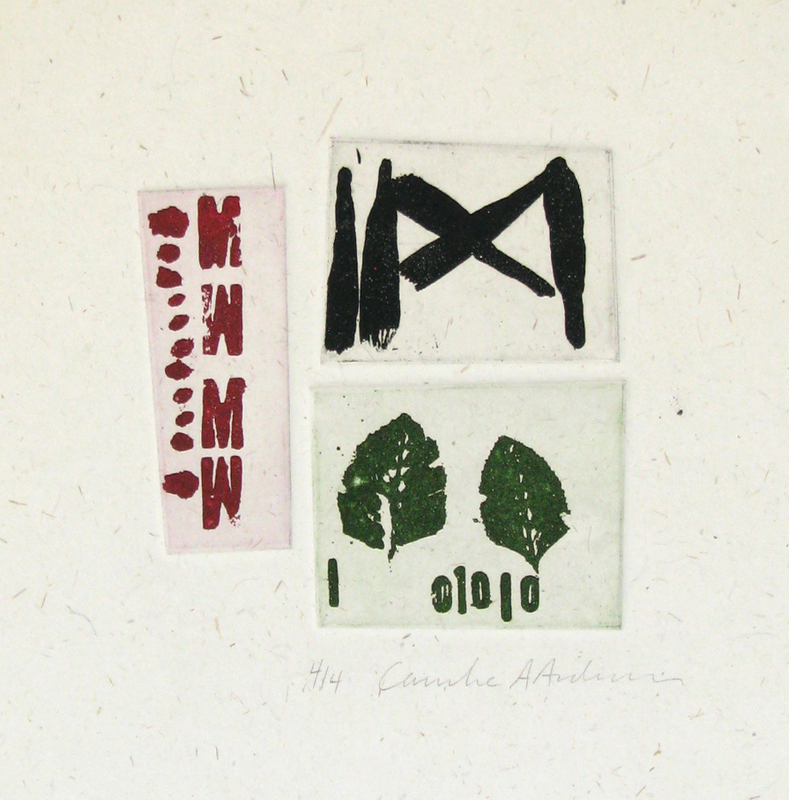 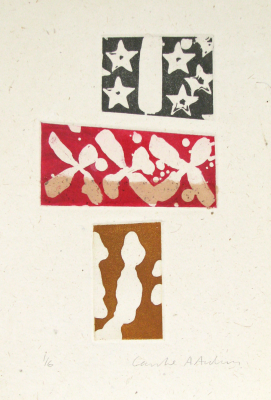 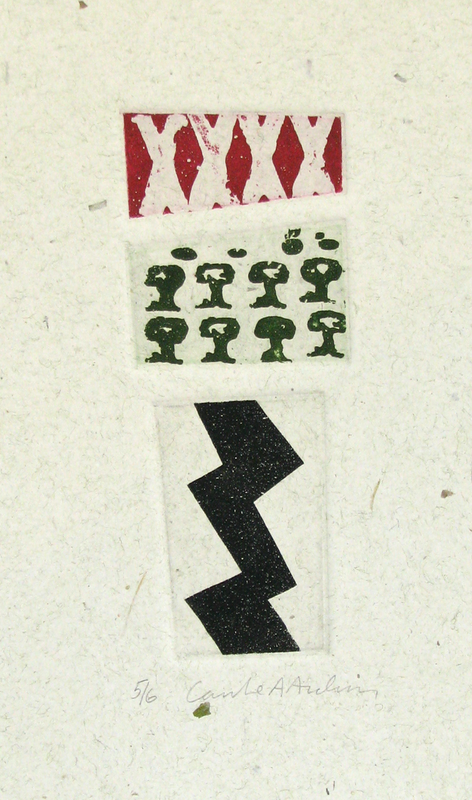 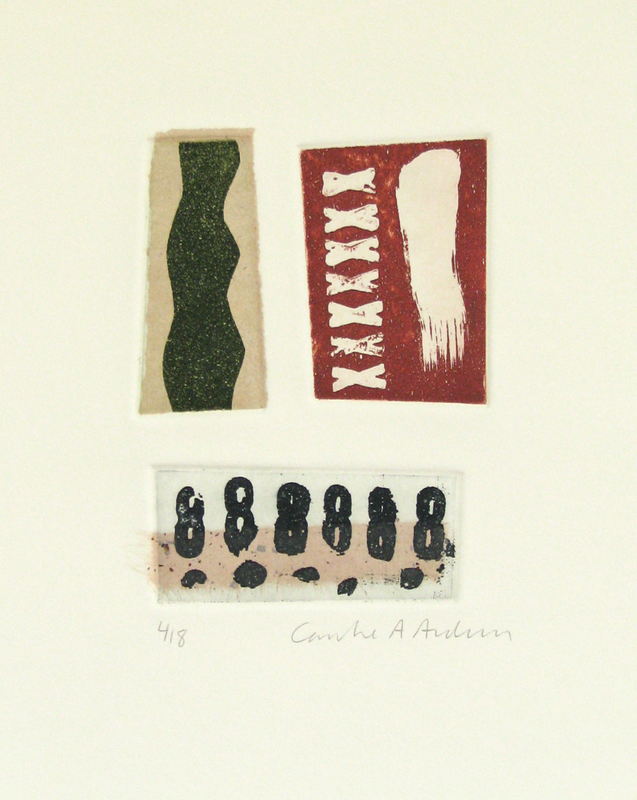 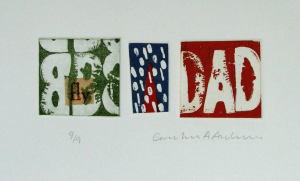 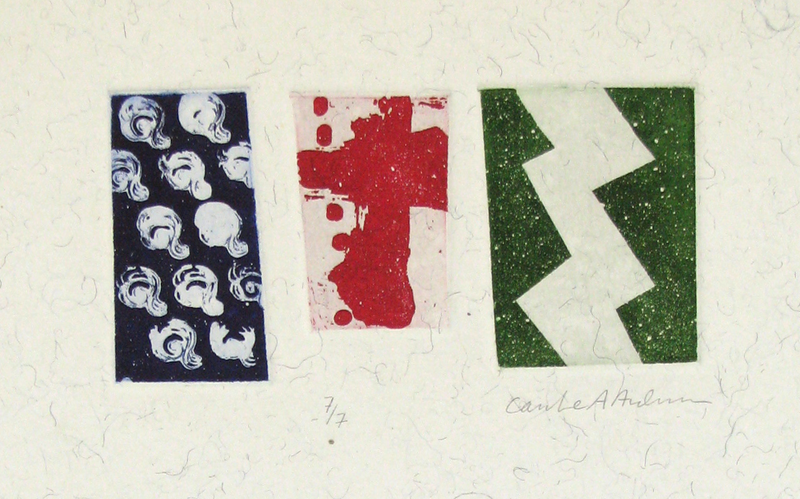 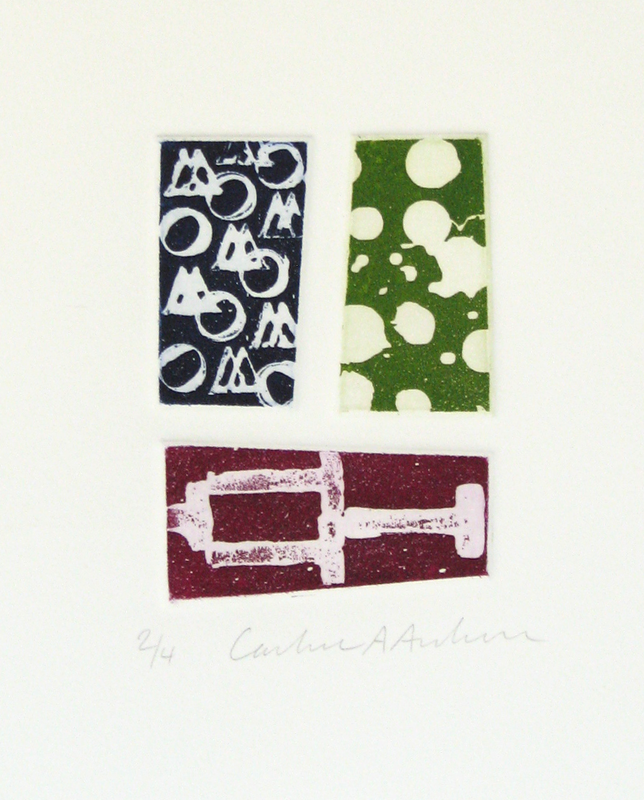 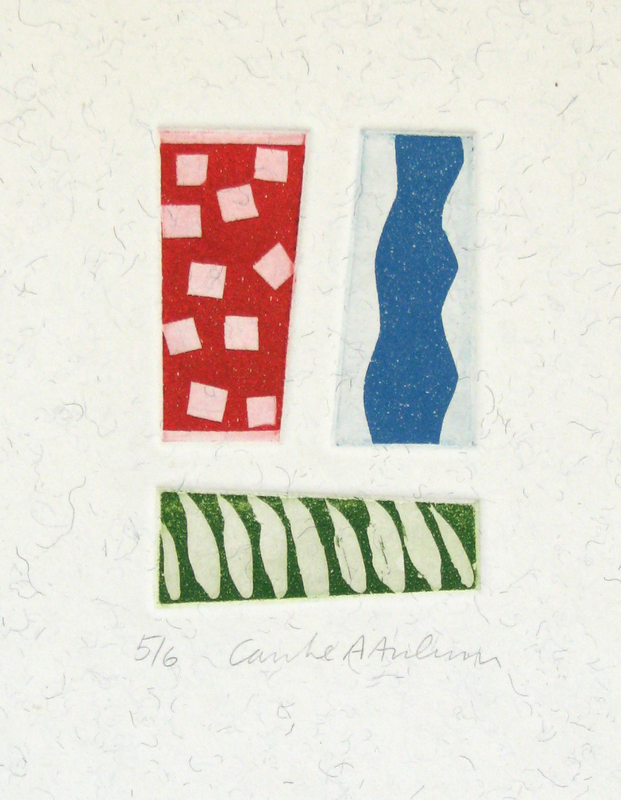 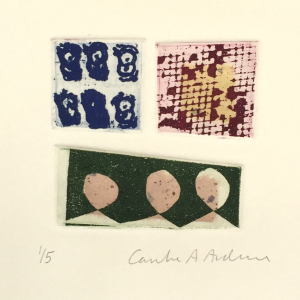 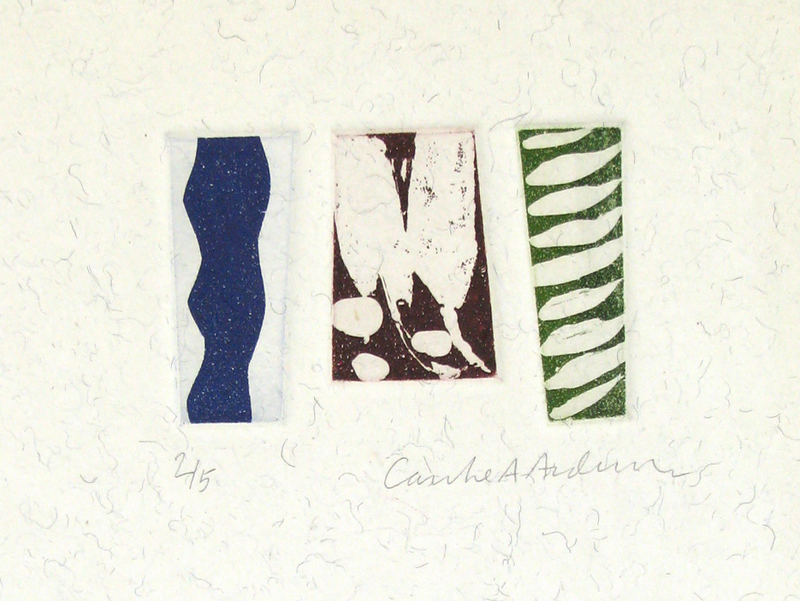 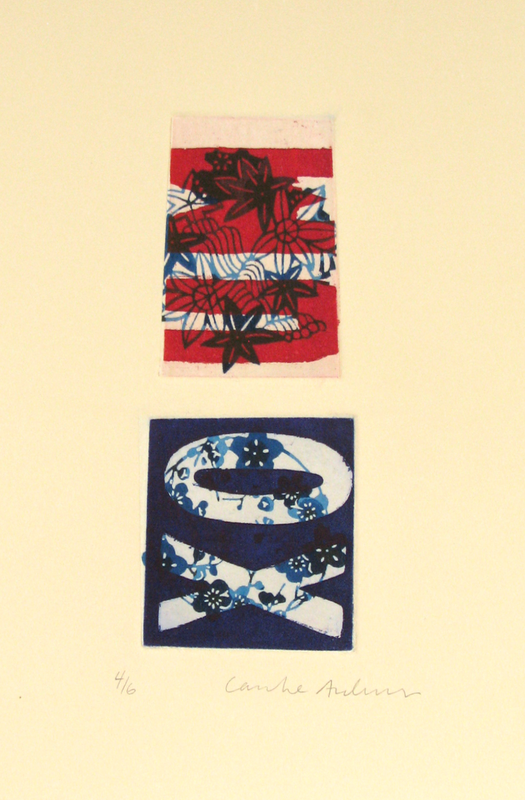 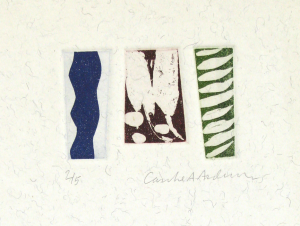 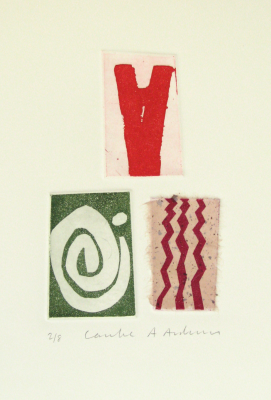 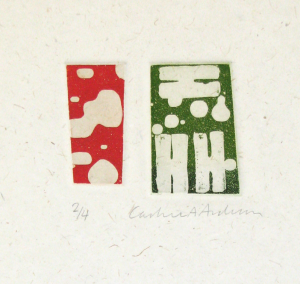 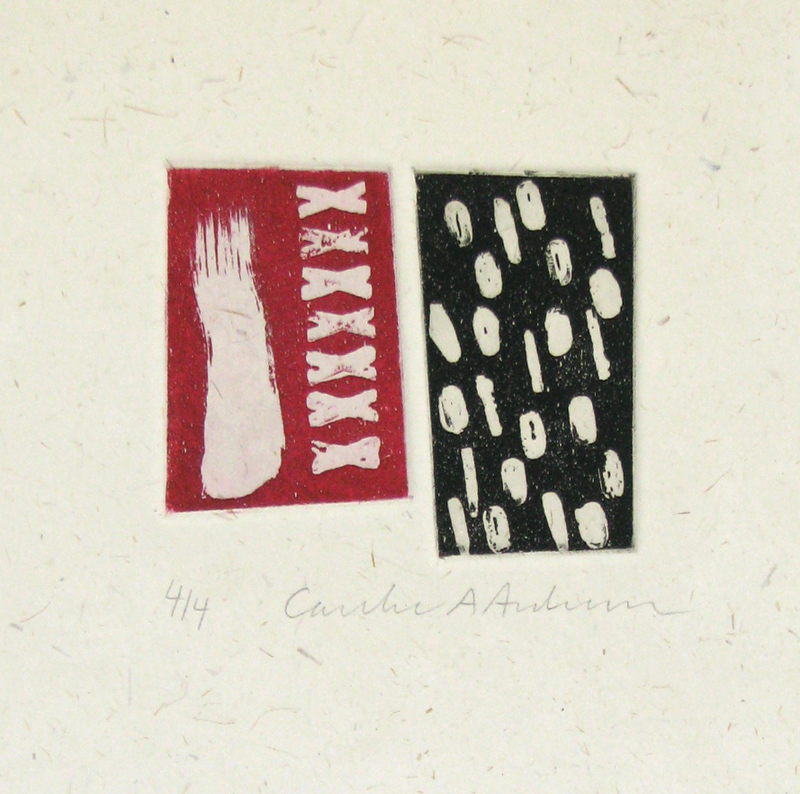 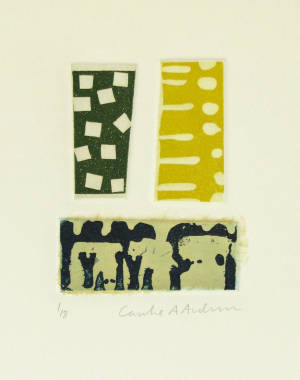 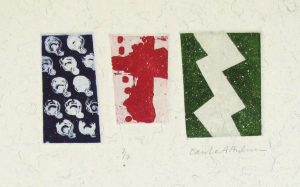 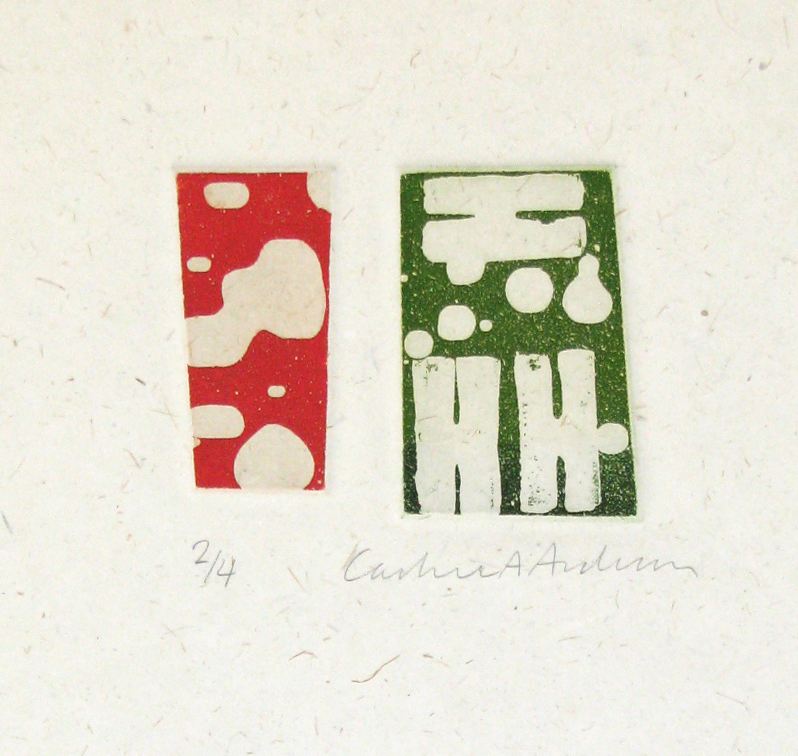 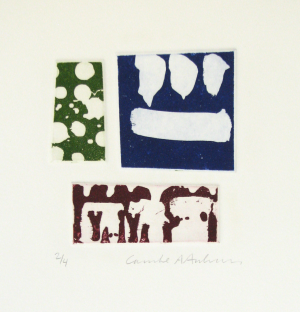 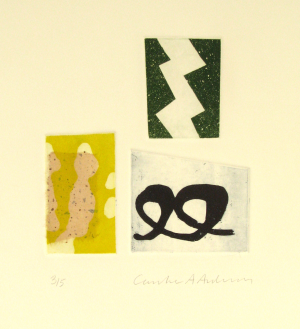 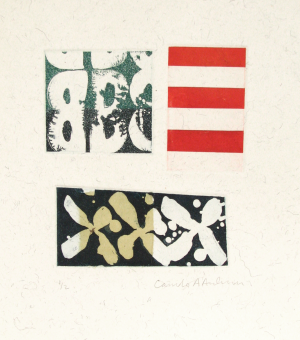 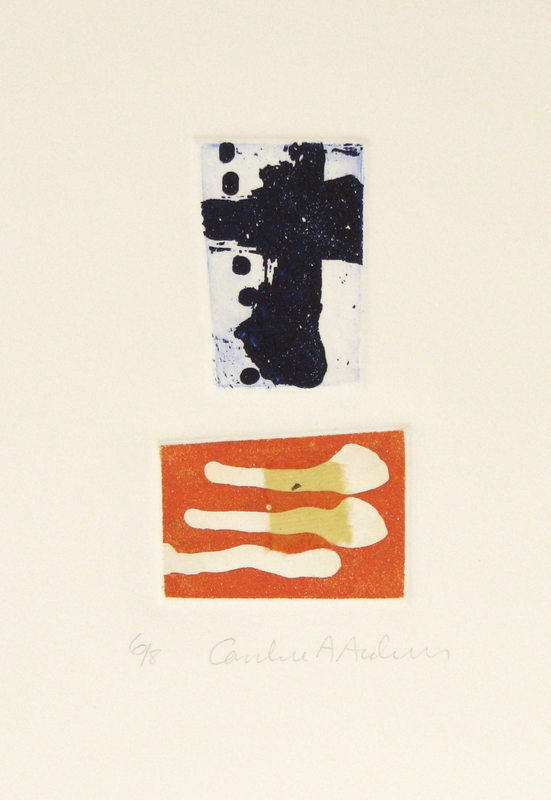 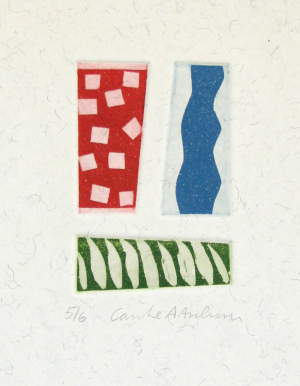 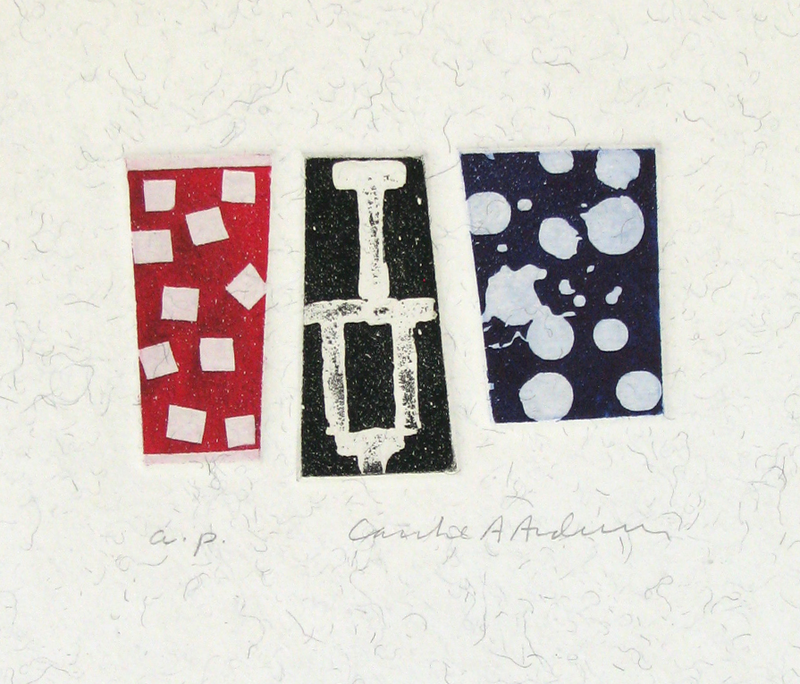 These hand-printed intaglio prints were produced in very small editions (most under 10). The intaglio process involves rubbing ink into textures on metal plates, rubbing the surface of the plates clean, and finally sending the plates through a press, forcing the ink into damp paper with a high rag content. The inks are all custom mixed by the artist. 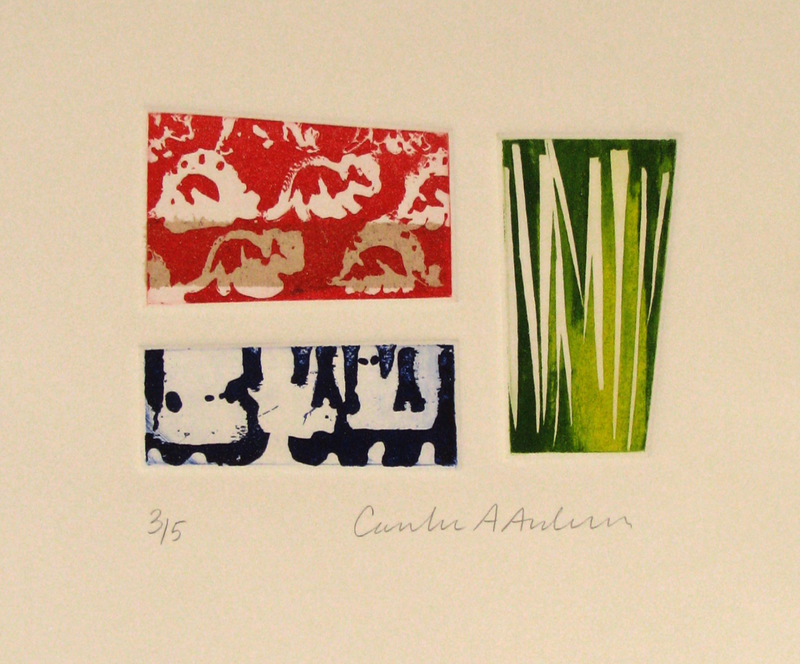 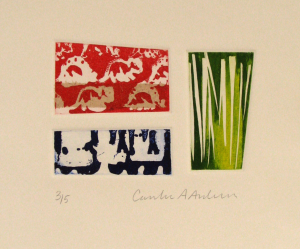 The prints are made with an intaglio process called “aquatint.” They feature “chine collé,” a technique that impresses rice papers into the larger sheet, creating accent colors and textures. 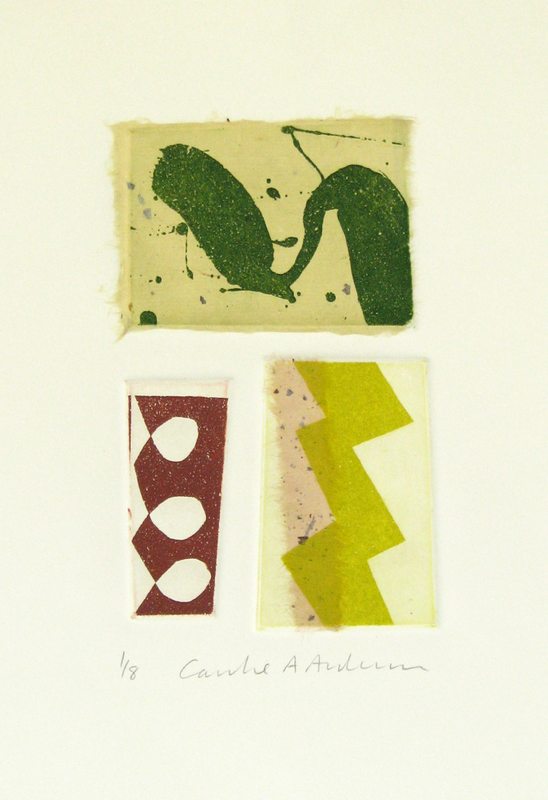 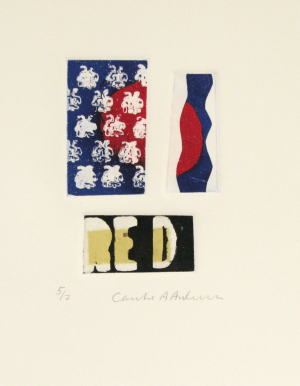 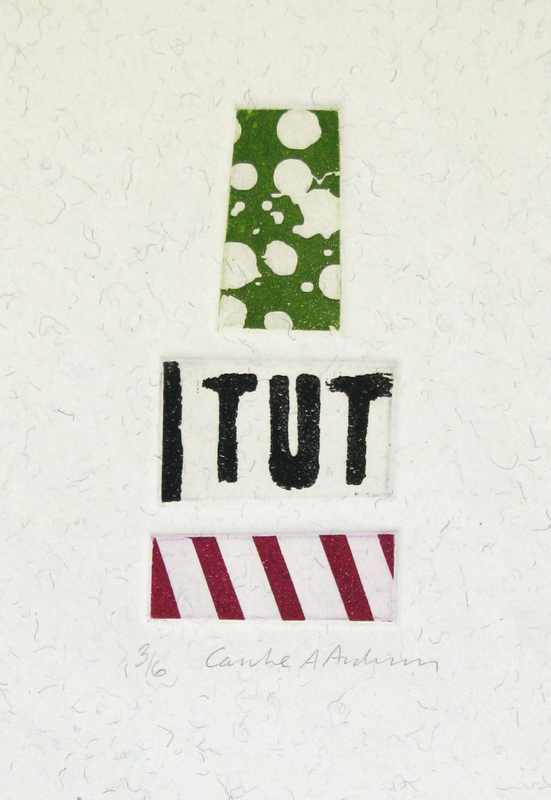 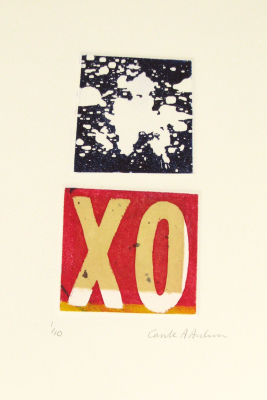 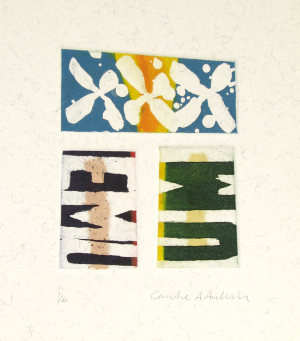 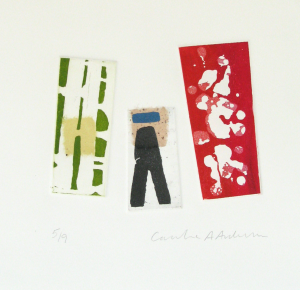 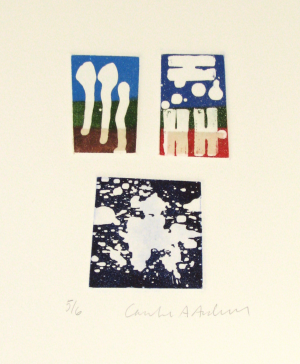 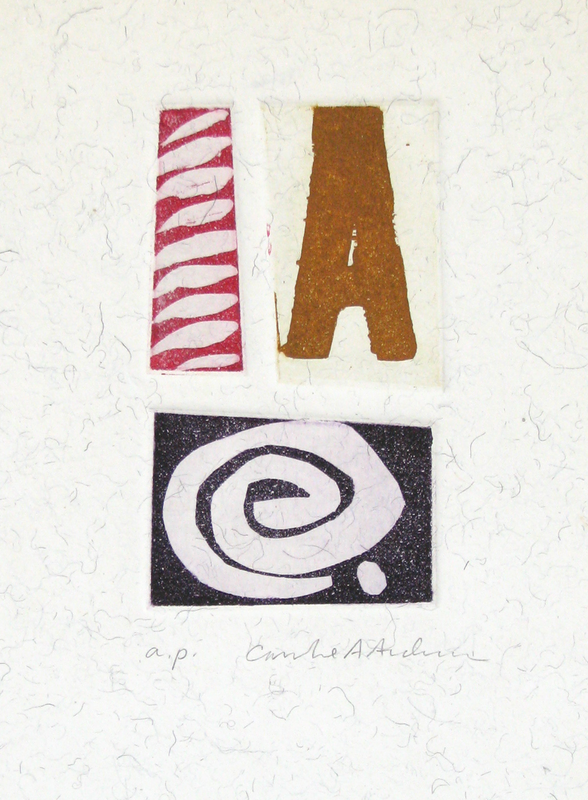 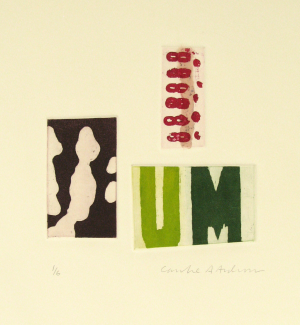 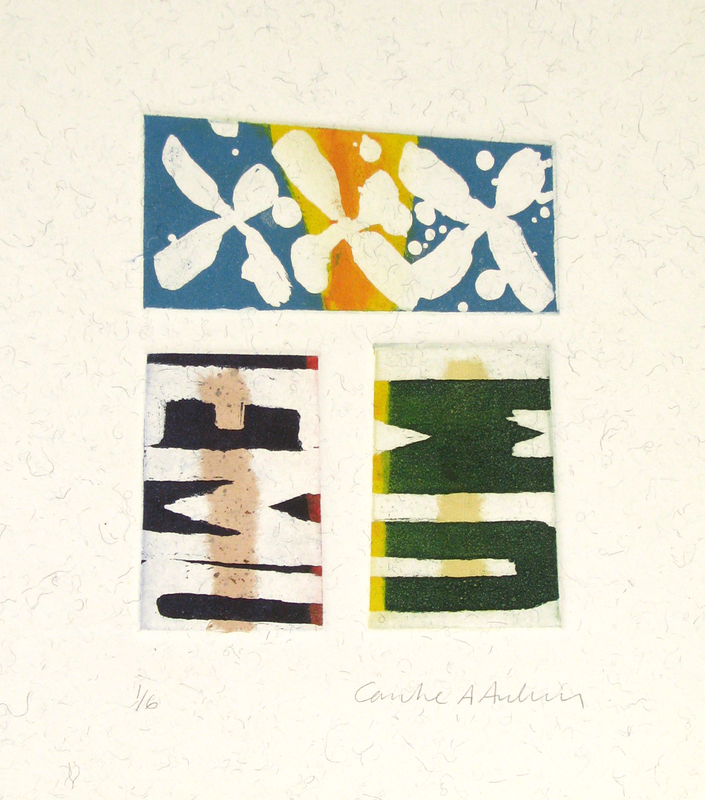 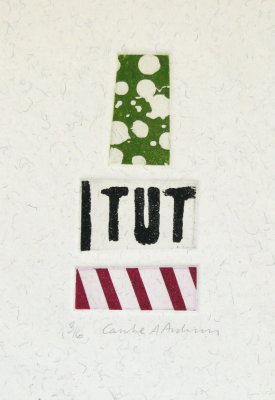 Each print is created using archival materials, including 100% acid-free rag paper and various handmade papers. 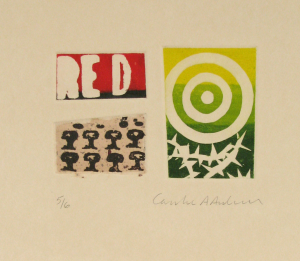 Widely collected by corporations and individuals, many of these works have been exhibited nationally in museums and prominent galleries. 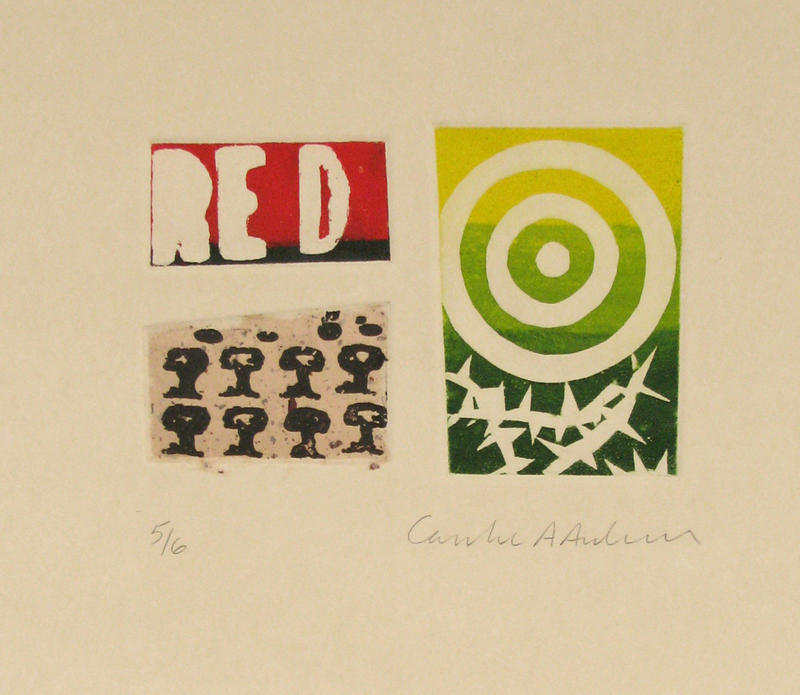 Prints from some editions are still available. Please contact the artist for purchase.